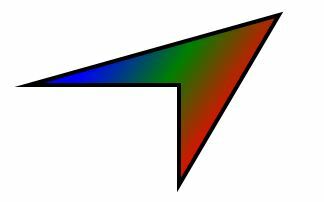 A polygon is a series of connected lines which is a closed shape. 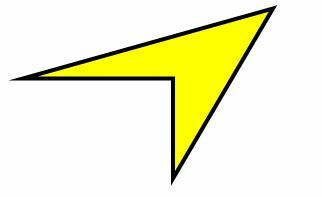 A closed shape is a shape that has same start point and end point. This article demonstrates how to create and use a Polygon control in Silverlight using XAML and C#. 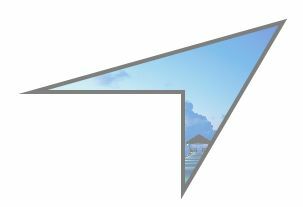 The Polygon element in XAML creates a polygon shape. The code snippet in Listing 1 creates a polygon by setting its Points property to the connected points in a polygon. The code also sets the black stroke of width 4 and fills it with yellow color. <Polygon Points="50, 100 200, 100 200, 200 300, 30"
The CreateAPolygon method listed in Listing 2 draws same polygon in Figure 1 dynamically. We can use the Fill property of the Polygon to draw a Polygon with any kind of brush including a solid brush, linear gradient brush, radial gradient brush, or an image brush. The code in Listing 3 uses linear gradient brushes to draw the background and foreground of a Polygon. The new Polygon looks like Figure 2. To set an image as background of a Polygon, we can set an image brush as the Fill of the Polygon. The code in Listing 4 sets fills the Polygon with an image. 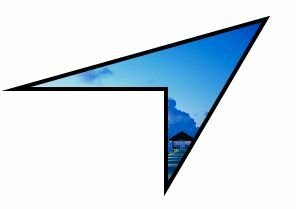 The Opacity property represents the transparency of a Polygon. The value of Opacity is between 0 and 1, where 0 is fully transparent and 1 is fully opaque. The code listed in Listing 5 generates a semi-transparent shape. In this article, I discussed how we can create a Polygon control in Silverlight at design-time using XAML and at run-time using C#. We also saw how we can format a Polygon by setting its fill property. After that, we saw you to set an image as the background of a Polygon. In the end, we saw how to draw a semi-transparent Polygon.